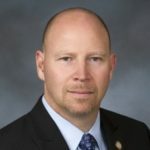 Paul Rinaldi began his three-year term in October 2009 as the sixth president of the National Air Traffic Controllers Association (NATCA) following his three-year term as NATCA Executive Vice President. Prior to his union national office service, Mr. Rinaldi spent 15 years working as an air traffic controller at Washington Dulles Air Traffic Control Tower. Upon beginning his career in 1991, Mr. Rinaldi was immediately drawn to representing the hard-working men and women at IAD. He was elected as vice president of the facility’s local NATCA chapter in 1995 and then a year later became the Facility Representative. In 2003, Mr. Rinaldi accepted the challenge to represent the entire Eastern Region and agreed to serve as the region’s alternate vice president. Mr. Rinaldi has spent his entire Federal Aviation Administration career working tirelessly on behalf of union members. His leadership as IAD Facility Representative resulted in 100 percent of the bargaining unit members becoming dues-paying NATCA members. Because of his experience and knowledge in labor relations, Mr. Rinaldi was asked on two occasions to serve as a member of NATCA’s National Contract Team. Mr. Rinaldi has also served the union as an Eastern Region Third Level Grievance Team member, a trained arbitration advocate since 2000 and an air safety investigator from 1997 to 2006. In addition, he served many responsibilities in the opening of the Potomac Consolidated Terminal Radar Approach Control facility, which brought together control of the terminal airspace for the entire Washington, D.C. area under one roof. Mr. Rinaldi attended the University of Dayton from 1983-86, where he majored in business management and is currently in the process of completing his degree. Prior to embarking on his career as an air traffic controller, he was a manager for a securities courier company in New York City from 1987-1991.